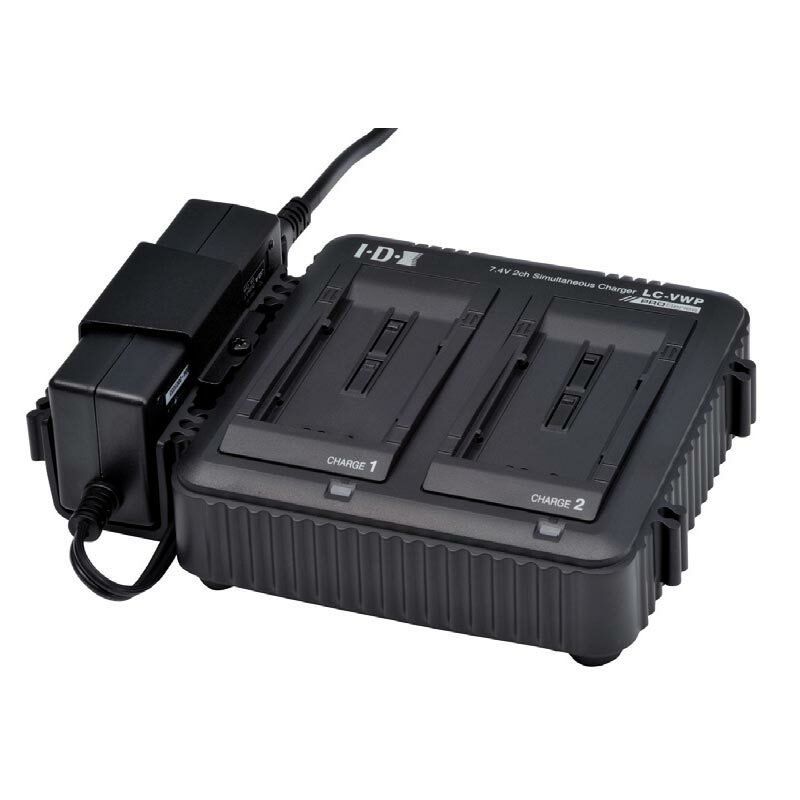 The LC-VWP is a 2-Channel simultaneous quick charger for selected 7.4V Li-ion batteries manufactured by IDX and Panasonic. Each channel is operated independently, so batteries can be placed on charge in any order and at any time for a quick turnaround. Full charge is achieved in approximately 230 minutes. The LC-VWP has auto safety and internal protection features protect both the battery and charger from serious damage should faulty or misused batteries be placed on charger. The LC-VWP has an ultra compact footprint.